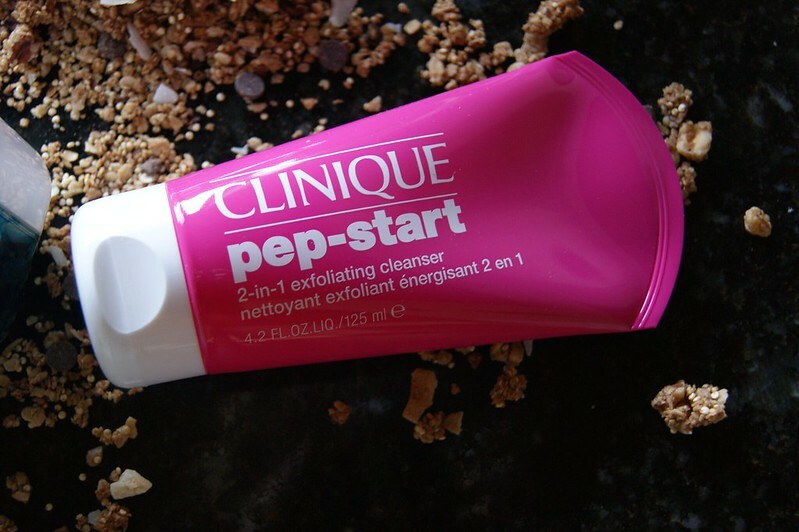 The Pep-Start 2-in-1 Exfoliating Cleanser is a freshening gel, scrub like formula, which cleanses and exfoliates the skin at once. It removes dirt, impurities and tallow and thanks to the triple exfoliation, it leaves you with a clean and soft skin which is make up ready. The formula is soft enough to use twice a day. 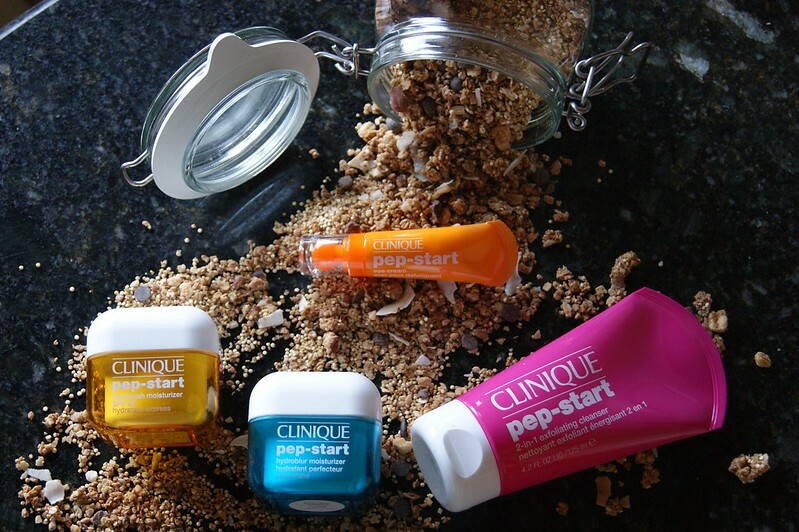 Apply a walnut sized amount onto your damp hands, massage and let it foam on your face. Rinse with lukewarm water afterwards. Be sure to avoid the eye area. 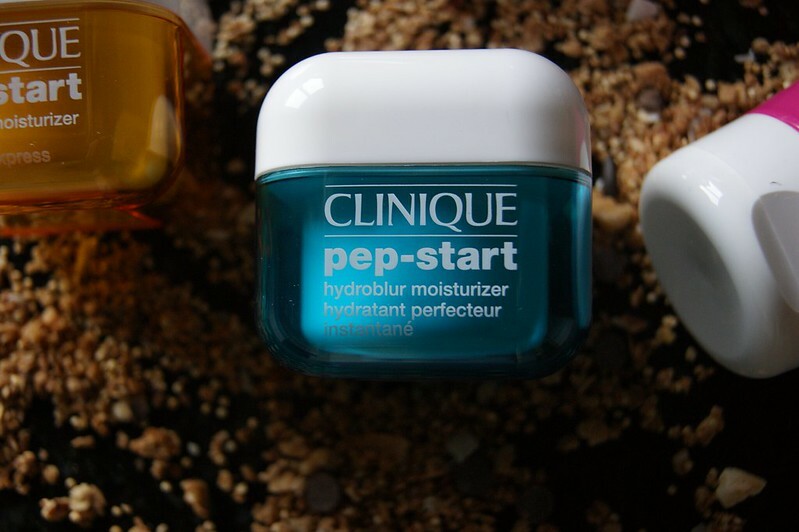 The Pep-Start Hydrorush Moisturizer SPF 20 is a day cream which protects your skin against the sun, which is always a plus in my eyes. It provides UVA/UVB sun protection thanks to the chemical (ray absorbing) and physical (ray reflecting) sun filters. My skin's very pale, meaning that I have to be careful when it comes to the sun, so this cream is definitely one of my favorites. I apply it in the morning and it gets absorbed by the skin very quickly, leaving my skin super soft and make up ready. Not mentioned on the packaging. * Or to do small corrections, leaving you with a perfect skin all day long. Like I said before: I use it in the morning if I notice that my skin is shining like a mofo or in the evening, before I go to bed (it can be used for both morning and evening). 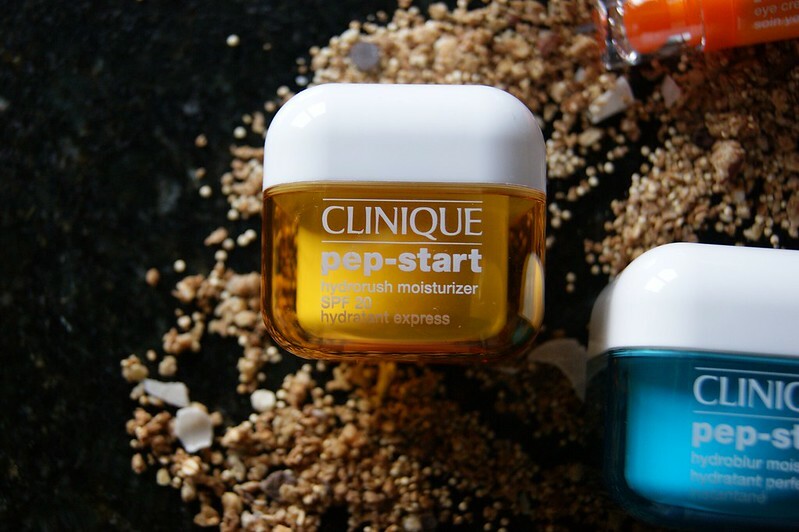 My personal holy grail for those puffy eyes in the morning: the Pep-Start Eye Cream. Even though it can also be used after you've done your make up, I prefer to apply it before. The ball shaped applicator decreases the puffy bags underneath your eyes and gives you a fresh and awakened feeling and look. It's the perfect solution after having to get up after a short night with lack of sleep. It fights the signs of stress, fatigue and insomnia with a mix of 7 peptides, keeping the collagen on point and boosting the skin. I think this is my favorite product out of the whole bunch! P.S. : To apply the eye cream, you have to pull the ball shaped applicator. It took me quite some time to figure this out, lol. * Whey Protein and Soybeans Protein to make the contours of the eyes healthier, smoother and clearer. That's it for my current skin routine! Thoughts? Drop them in the comment box below! I love the packaging of these! 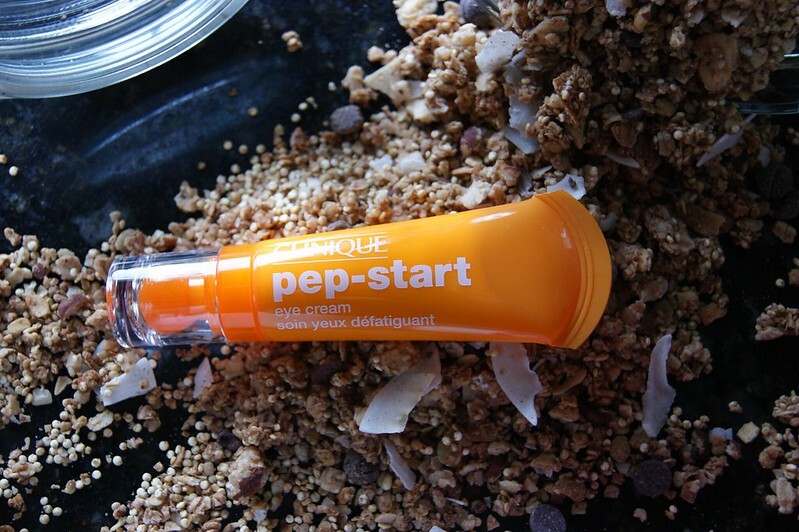 The eye cream sounds like the kind of thing I need too, help me look a little more awake in the mornings haha!